According to Texas laws, if a couple is legally married, the husband is automatically assumed to be the father of the woman’s child. In case of unmarried couples, however, there is a need to determine the paternity to determine the continuity of child support if a couple decides to part ways. Legal paternity enforces the rights of the father as a parent and also ensures that the child is eligible for benefits such as child support, social security, and insurance, as applicable. The laws governing paternity, however, can be difficult to comprehend, which explains the increasing number of couples turning to family attorney free consultation. Clearing the smokescreen, this blog post answers six FAQs regarding paternity establishment laws. 1. What is paternity and its role in child custody? Establishing paternity is one of the important steps that unmarried couples need to take as it creates a legal relationship between the father and child. Once paternity is established, the biological father of a child is legally acknowledged and has an obligation to follow the duties and responsibilities of a parent. Without establishing paternity, a child cannot get financial support and other benefits such as social security and insurance applicable to the father. 2. How is paternity established? AOP is a legal document that can be signed voluntarily by the parents of the child to establish paternity. Signing an AOP makes the father legally responsible for paying child support if the child stays in a different role. The court has the authority to enforce the custody and visitation rights. Parents need to mutually sign an AOP at the time of, or after childbirth, but before a child custody order is made in the court. If a couple is unsure about the genetic father of the child, the must refrain from signing the AOP and furnishing false details, as such acts may lead to heavy penalties. If both the parents are unsure about paternity, they can avoid signing an AOP. In such a scenario, both the parents may seek assistance of a family or private attorney to establish paternity through a court order. The person was married to the mother of the child when the child was born. Spent two years continuously with the child while claiming to be the father to the society. 3. How is child support affected if a person is not the biological father? If a parent suspects that he is not the father of the child, he can opt for a genetic testing. If the suspicion comes out to be true, the court can terminate the child-parent relationship and free the person from child support obligations. The parent, however, will be responsible for paying the child support, along with accrued interests (if any), until the date when the claim was filed. The parent will be recognized as the parent of the child until he signs “Denial of Paternity” or a court order states that he is not the legal father. In addition, the applicant has to furnish some evidence to support what made him believe he is the genetic parent while signing AOP or when the court order passed its verdict. 4. Who is the paying authority for genetic testing? If a parent files a case with the Office of the Attorney General and they deem genetic testing necessary, the testing can be accomplished at no cost. If the alleged father comes out to be the real genetic parent of the child, the person may have to bear the cost of the test. 5. What are the requirements to file “Denial of Paternity”? A presumed father can fill up denial of paternity form to claim that he is not the biological father of the child. The parent must not have signed an AOP previously unless it has been challenged in a court. In addition, the parent must not be named as the father of the child in any court order, and the form must be signed under the penalty of perjury. 6. Does an unmarried father need to establish paternity if he is paying child support? Texas courts ensure that child support is continuous and does not lapse in the event of the death, disability or a change of mind of the liable parent. Once child support is established, the father cannot avoid the legal responsibilities as a parent, and must contribute for the physical and emotional well-being of the child. Paternity establishment safeguards the interests of the child, no matter whether the divorcing couple is married or unmarried. Many couples refrain from family attorney consultation, which adds to the hurdles in claiming child custody and visitation. If you wish to learn more about paternity establishment laws or any other child custody issues, the attorneys at 123 Custody Company can help. 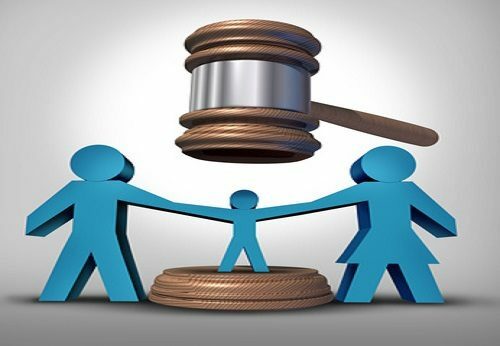 Our family law attorneys have extensive experience in handling child custody and paternity establishment battles, and will be happy to answer any question you may have. To schedule a family attorney free consultation, give us a call at 214-599-9979.